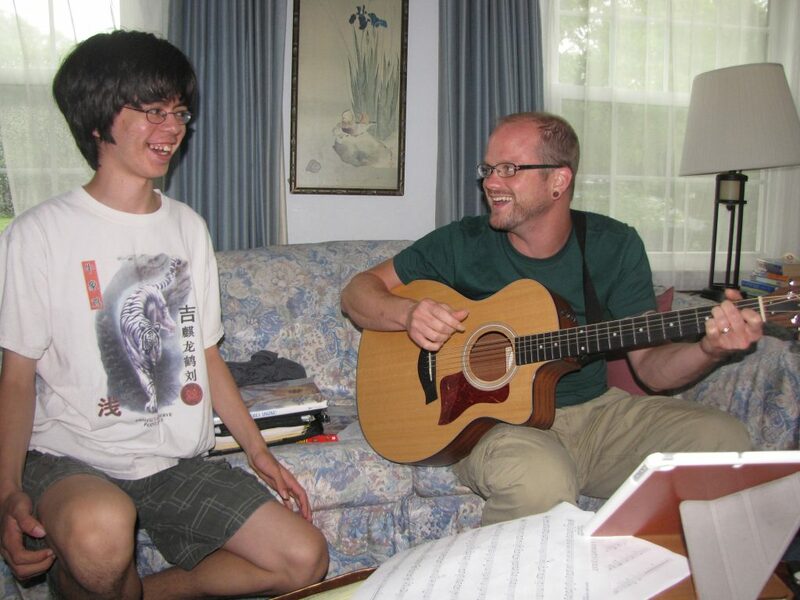 Music Therapy is one of Noble’s most popular services. Tailored to your unique needs, our Board Certified music therapy helps you improve communication, socialization, physical responsiveness, sensory processing, emotional expression and cognitive skills. It also empowers you to make choices and develop coping techniques—all while remaining fun, creative and engaging. Offers a fun, creative outlet! Cassidy has always loved music, but now she is using Music Therapy to help her cope with the challenges of being a teenager with autism. Together with her Noble Music Therapist, Cassidy has written the lyrics to a number of songs featuring a cartoon character she created, Little Mac. Each song has Little Mac facing a situation that Cassidy has had to deal with in school, but by the end of the song, Little Mac has discovered a solution—and so has Cassidy, thanks to Music Therapy. A Medicaid Waiver-funded service, our Music Therapy is provided in the community, at your home or at any of our Central Indiana locations. If you or someone you know would benefit from Music Therapy, please call us at 317-375-2700 to learn more. Or click here, share a little information with us, and we’ll get back to you.